social security benefits social security my account A Quick Guide On How To Make The Most Of The Social Security Benefits! 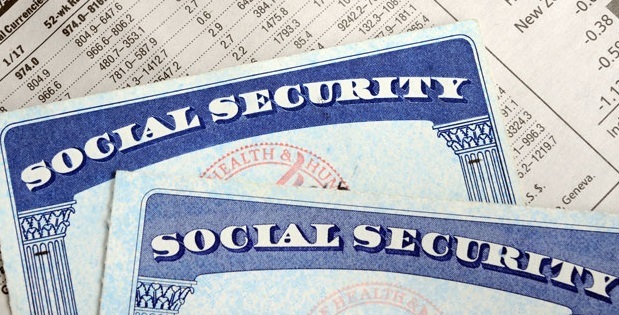 A Quick Guide On How To Make The Most Of The Social Security Benefits! Have you ever heard about the social security? Of course, yes! The more chances you have just come across the social security, and you might have not taken its advantage. In any case, if you have invested in the social security, and you are interested in maximizing your return. Planning is one of the most essential steps that you need to make a part of your retirement plan. Avoid letting the social security of your retirement plan go, unexpected. It makes a great sense to plan the social security. When you are going to make a step towards the social security benefits, you should consider the options that could have an actual effect on the income you will reside on during the retirement. In this post, you will gather information regarding how you can get more money while reaping the benefits of the social security. Every day, a number of people experience the interviews, where they are interviewed to have knowledge about the social security. There are many people, who make many mistakes that result in the loss of money to a great extent. So, read this post properly to help you in finding the ways that will get you towards having more money from the social security. It is known that the benefits of the social security are based upon the earning records of the workers. These are those earnings that are not reported correctly or missing can reduce the benefit of the monthly amount that can add up to a huge sum of money as time passes on. There may be many reasons for these missing earnings including working ‘off the books’, inaccurate reporting of wages by an employer and failure to report income of the self-employment. Due to these reasons, you are not going to get complete benefits. The reason is that the social security number or the name mentioned in the report does not match the information available in the social security card record. It is all because of the improper information in the report wages. Some employers attempt to avoid paying their own share of the tax for an employee by giving form 1099 rather than a W-2 form. From the context, it means that the employees need to report their pay in the form of the self-employment income and recompense a greater social security tax to obtain credit for those earnings. The tip here is that it is essential to check the records of your social security earnings at least once in a year so that you can do the necessary corrections before applying for the social security benefits. Another method that will take you towards the proper social security merits is that you should apply for benefits on a right time. For receiving the spouse and retirement benefits, the first month of payment is for the month why the application was filed, unless the application will be made after the month you get full retirement age. If this is the case, then you can be compensated back to that month, on condition that you did not apply more than 6 months after getting the complete retirement age. Keep in mind that the same 6-month limit on retrospective benefits employs to most other kinds of benefits, but the social security disability is not included in it, which can recompense up to 12 months back from the month when the application was filed and submitted, based on the month you are discovered to meet all the necessary requirements for disability. People have a tendency to apply to the benefits too late. Sometimes, they never apply for it. There are certain types of benefits, which people never take care of. They may be either unaware of these benefits or they incorrectly believe that they are not qualified for those benefits. If this happens, then many people often when a child or a spouse has not lived with the employee for a long time because of divorce, separation or death. There are some special needs to be fulfilled in order to get these benefits. For a glance, divorced partners can take advantages if they are at least 62 in age, were married at least 10 years to the employee and are presently not married. Notwithstanding what many divorced partners think that getting that benefit will not lessen the amount of the employee’s own benefit nor does the employee have the right to refuse them that advantage or to be told the current address of the divorced spouse. Of course, a partner who has not married for 2 full years can go for the application according to the worker’s record even if the employee has not still applied for benefits related to the retirement, given that they are both age 62 or more than and also the divorced partner has not married again. Remaining partners who are at least 60 years in the age can apply on a dead employee’s record of a parent who is getting the benefits of the Social security retirement or disability merits, or on a parent who is dead but had sufficient earnings on their record for their kids to become eligible for survivor benefits. It is the case, even if the parents of the kids were not married in a legal manner, providing that the child’s relationship to the employee can be proven based on the guidelines of the social security. When you are going to get retired in the month, you are permitted to earn an unrestricted amount from work and still obtain all of the social security benefits. The longer you delay your social security benefits, the older you will be when you decide to get back your money you handed over from full retirement age till the month you started collecting benefits. If you go with these methods, possibly you will get the most out of the social security benefits.